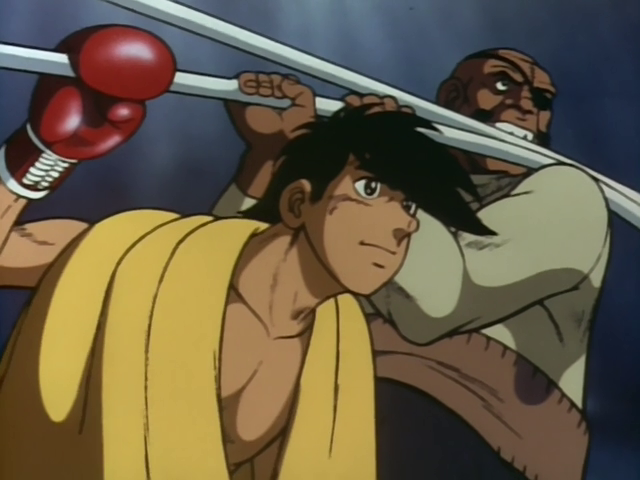 The desire to write another article on Ashita no Joe has chaffed me for a long time. Considering that Ashita no Joe contains as many themes as Hamlet or King Lear, I have no fear that I shall exhaust the topics I can use for my upcoming column on Beneath the Tangles. Before I get into the idea of laughing into the abyss, watch the following clip–it’s short. Frightening and insane, isn’t it? About thirty percent of all the laughter in Ashita no Joe partakes of some insanity, another thirty percent strikes the ears as pathetic, and much of the rest is derisive. The laughter is not happy because few of the main characters are. Our heroes struggle against nihilism after obstacle after obstacle is placed in their attempt to realize a truly human life. 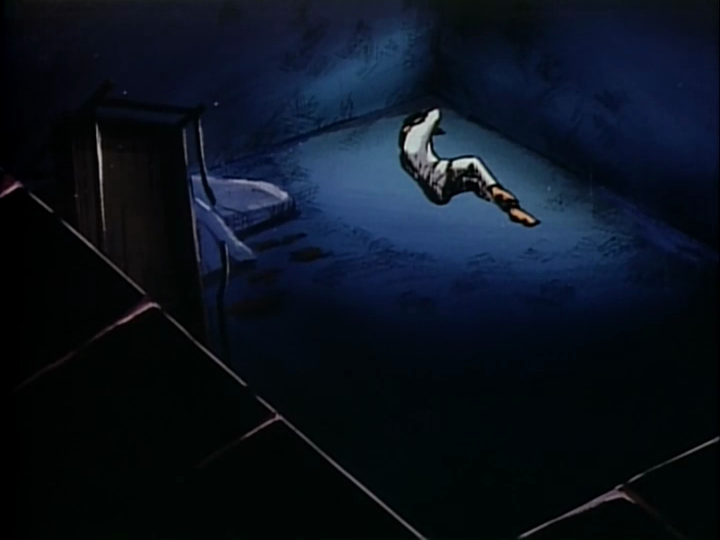 Before the eyes of Joe Yabuki, whose heart has taken a glacial hardness, and before the eyes of Danpei Tange, whose everyday life revolves around draining saké bottles, there lies a great and unfathomable abyss. These two heroes start out at rock bottom. 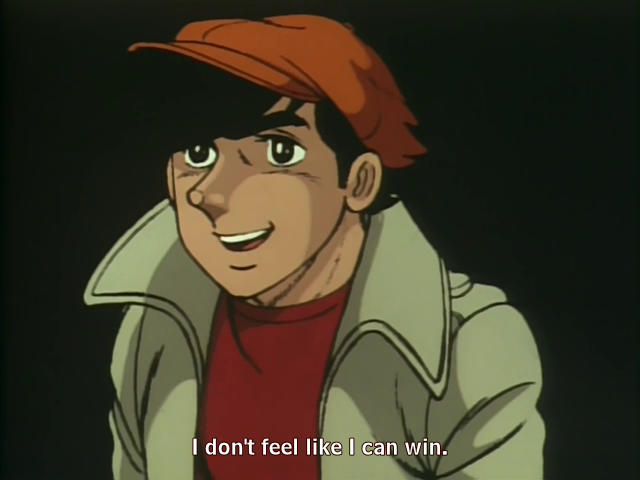 The very uselessness of their lives renders Danpei’s laughter pathetic and imbues Joe’s with scorn. At least, they can still laugh. It’s only when laughter has perished in the soul that darkness can encompass it. Laughter is the music of the soul. No matter how bent and forlorn, this music evinces a heart and soul which still wishes for meaning. When staring at the abyss, why not laugh into it? One imagines an abyss as something great and terrible. But, it is not great in the same way that a mountain is great. An abyss is a great nothing. A grain of sand has more meaning than the whole of it. The grain is; the abyss is not. This is especially true if we take the abyss to be the seeming meaninglessness of one’s life during difficult times. Like Joe and Danpei, we occasionally run into times of our lives when we feel devoid of purpose–that we are no good to anyone or to ourselves. The only thing to do when the abyss threatens is to laugh into it, scoff at its very nothingness, and keep fighting. After all, which is greater? The abyss which tells us our lives are meaningless or the infinite God who grants us life everyday? By living with an eye cast on God, God can fulfill His Will in us even if we do not see the point of the struggle. One day, we shall realize that this struggle was worth more than those times of security when we saw the fruits of our efforts. As St. Pio of Pietrelcina said: “The most beautiful creed is the one prompted from your lips in the dark, the sacrifice, the pain…” Which words of Christ strike us more forcibly than the seven last words he spoke upon the Cross of Calvary? 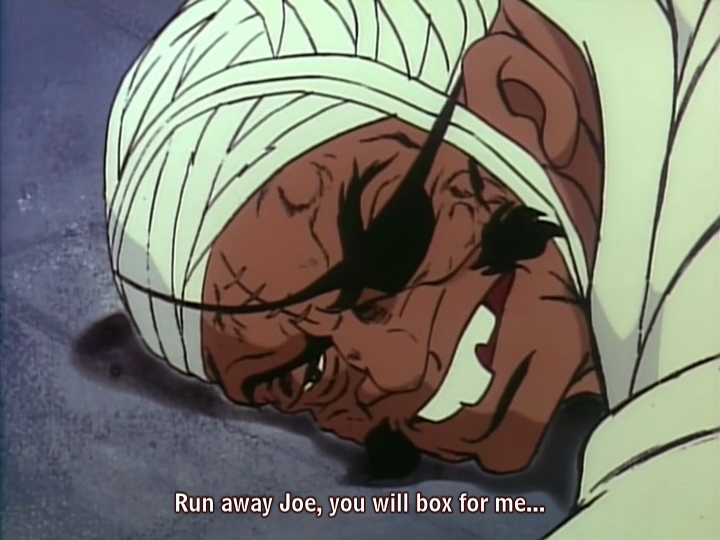 For all Joe’s faults, he has the virtue of perseverance: to keep whistling, laughing, and fighting even as darkness threatens to destroy all his dreams. As happens in our own lives, his laughter takes on a more cheerful quality as he perceives that his past pains and suffering meant something. After all, what is more worth laughing at than the idea that our lives are meaningless as long as the abyss of nihilism is opposed by the infinite abyss of God’s Mercy–the only abyss which truly has being? 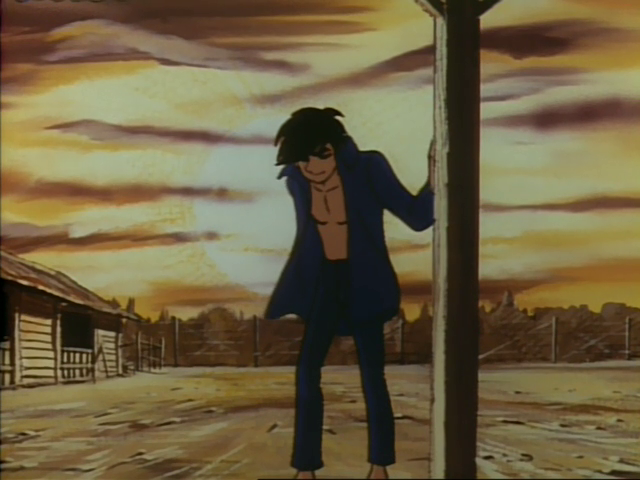 This entry was posted in Anime, Religion and tagged Ashita no Joe, Danpei Tange, darkness, Despair, God's Mercy, Hope, Joe Yabuki, laughter, meaning in life, Mercy, the abyss, the struggle for meaning.